The Scrambler name is still just a rumor, but the reveal at the Los Angeles auto show is real. 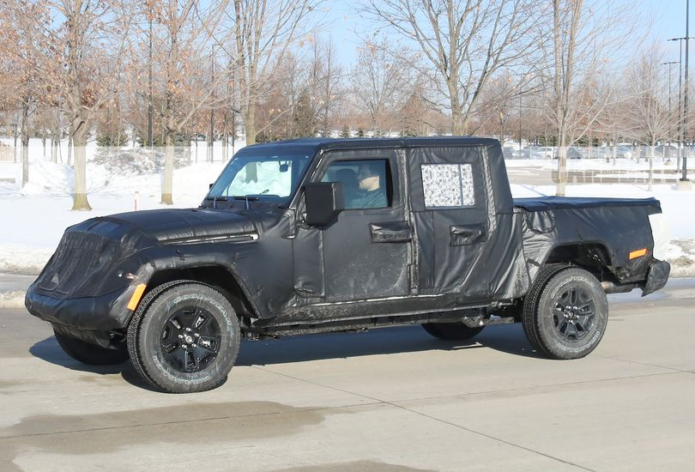 We’ve seen the spy shots, interpreted the rumors, and read the forum posts—and now we’re finally going to see the new pickup-truck version of the Jeep Wrangler for real. This new model will make its official debut at the end of November at the 2018 Los Angeles auto show, ending years of anticipation for a rebirth of the Jeep pickup truck. The one big piece of information that we’re still missing about the new Jeep truck is its name. There’s been speculation that it’ll revive the Scrambler name first used on a CJ Jeep truck, but we’re not so sure that will be the case, as Jeep may want to capitalize on the Wrangler’s name recognition.